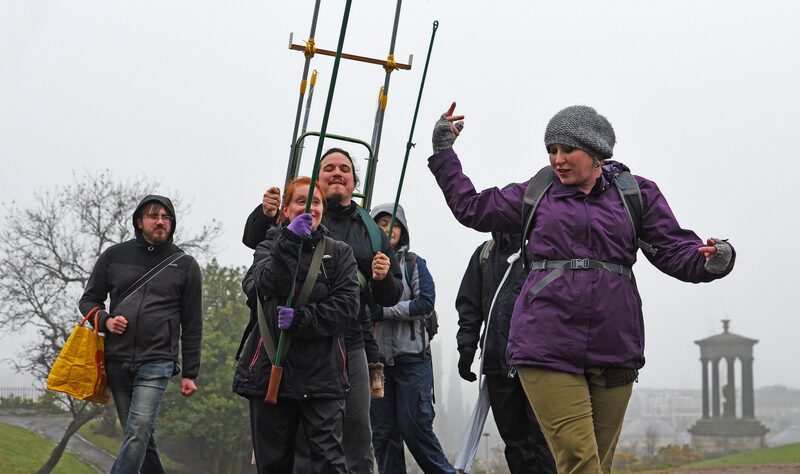 One of the questions that we get asked every year is “Why does it cost money to go to Beltane?” There are a lot of hidden costs involved in putting on a festival that, while you won’t necessarily see what they are, are essential to making sure the event is safe, legal, and of good quality. 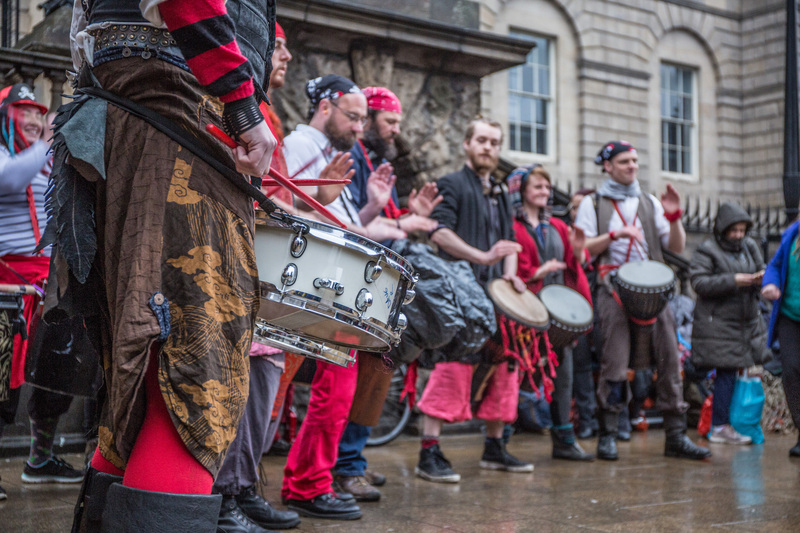 In the name of transparency, we wanted to take a moment to talk about money and what it pays for at Beltane Fire Festival. didn’t beltane fire festival used to be free? Yes it’s true, our festivals used to be free to attend, but as they have increased in popularity over the years so have the funds needed to put them on. Throwing a fire festival on the scale that we do takes a lot of careful planning and no matter how thrifty our volunteers are it doesn’t come cheap. We’ve detailed some of the costs below. 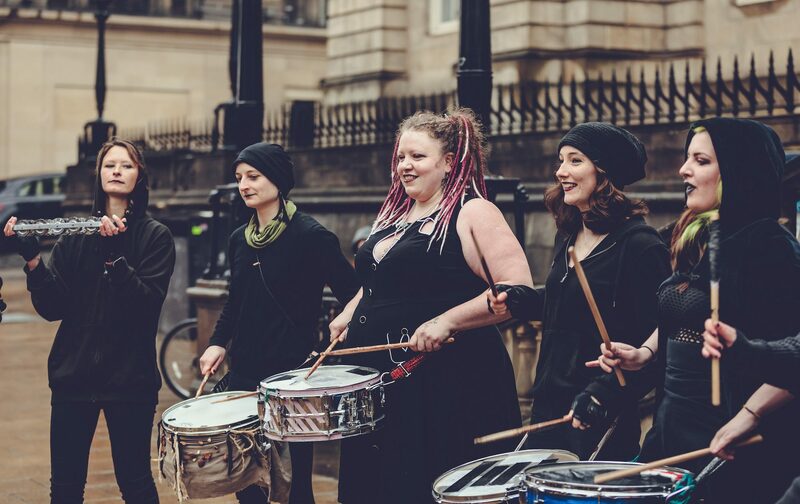 There are a few licenses and other important bits that we have to pay to put in place before the City of Edinburgh Council can let us put on our festival. These include a Public Entertainment Licence, Section 89 permit (permission to erect a raised structure), SIA-licensed security, fencing, the use of Calton Hill and associated staff costs, toilets (oh so many toilets! ), clean-up of the Hill, and the Red Cross. Some years we have also had to pay for Police and road closures. We also have other practical things to consider like van hire, stage hire, PA hire, a portable cabin as a box office, additional crew to assist with the de-rig, 2-way radios, hydraulic lifts, lighting, generators, web hosting, email hosting, office rent, paraffin, storage space, fire rope, diesel for the van, ticketing staff, poster and flyer printing and distribution. And not forgetting all the body paint (as much as a small shop buys in a year, apparently). Our festivals are mostly a labour of love by hundreds of volunteers, but everybody has a life and their own commitments and so we also pay for three part-time contractors to keep things running smoothly. We have an Event Co-ordinator, who spends his time doing lots of paperwork and keeping us all organised, a Communications Co-ordinator (waves), who makes sure that you all hear about our festivals in time to buy your tickets, and a Site Safety Officer, our designated sensible person who keeps our events risk-free. The rest of the society, including our performers, are volunteers. 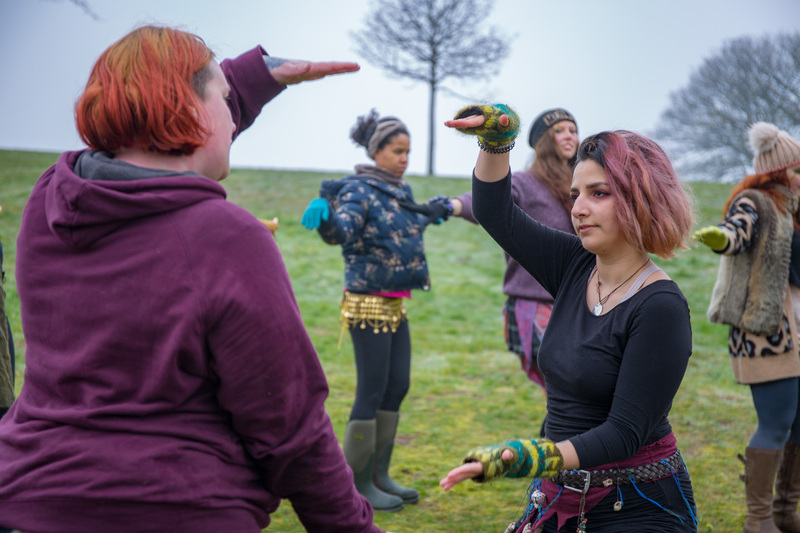 This is one of the magical things about Beltane – it is open to anyone looking to learn new skills and have a good time along the way. Photo by Gordon Veitch for Beltane Fire Society. All rights reserved. Previous Come and work with us! We’re looking someone to help us with the running of our Society.